ALA > News > Travel with ASGCLA! Make 2019 the year that you visit the lush beauty of the Emerald Isle! 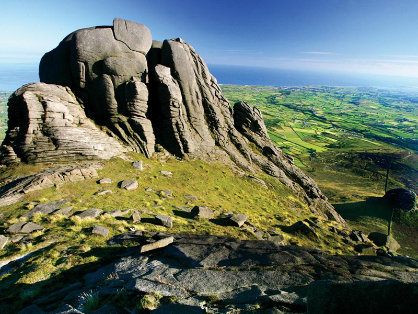 A trip to Northern and Western Ireland May 11-18, 2019 is sponsored by the Association of Specialized, Government and Cooperative Library Agencies (ASGCLA). After arriving at Dublin airport, the private coach tour includes visits to Belfast, Northern Ireland and various places along Atlantic Coast of Ireland, including Counties Sligo, Mayo, Galway, and Clare. The tour includes seven hotel nights, evening meals on four nights, and gourmet lunches on three days. The first stop is Belfast City, once home to C. S. Lewis. The city has numerous Victorian buildings juxtaposed with impressive 20th-century architecture, creating a sense of progress and change. Other opportunities in Belfast include the Game of Thrones Touring Exhibition or the Titanic Experience and Museum. Traveling from Belfast to County Sligo, see the Sheamus Heaney HomePlace to celebrate the life and poetry of the Nobel Prize winning poet. The house includes many family photographs, video recordings, and the voice of the poet himself reading his own words. The Lakelands area also includes Enniskillen City and Castle Coole. Castle Coole, built in the 18th Century, still has the original furniture especially commissioned for the house. The house was featured in the 2014 film Miss Julie. Sligo was Yeats's 'Land of Heart's Desire'. He spent much of his childhood here. We will visit the Yeats Building, a beautiful 19th century red brick building, the home of the Yeats Society Sligo. It houses a permanent exhibition on the life and work of William Butler Yeats along with an exhibition of Jack B. Yeats prints. The trip from Sligo to Galway offers glimpses of rural Irish country life. The village of Cong straddles the border of Galway and Mayo and is most famous as the location of the classic film, The Quiet Man. Cong hosts a museum dedicated to the movie. At the Museum of Country Life in Turlough Park, visitors become immersed in the unique stories, rich heritage, and fascinating cultural traditions of the rural countryside. A stop in Galway provides a glimpse of the fourth most populous urban area in the Republic of Ireland and the sixth most populous city in the island of Ireland. From Galway it is a short boat ride to the Aran Islands for a self-guided walking or bicycle tour. The islands located off west Clare are one of Ireland's most spectacular attractions. Coole Park offers a chance to walk the Lady Gregory and Yeats Trail. Share the same experience as Yeats, George Bernard Shaw, John Millington Synge and Sean O'Casey. They all came to experience its magic and their initials are carved on the world-famous autograph tree in the walled garden. A trip to Ireland would not be complete without visiting the Cliffs of Moher in West Clare. This is among Irelands most rugged and dramatic landscapes with shifting and sculpting stone creating unforgettable scenery. The final night of the trip in the Ennis Hotel, County Clare, will feature a farewell dinner and private storytelling experience with Ireland's most renowned seanchai, Eddie Linehan. Travelers will depart from Shannon Airport.